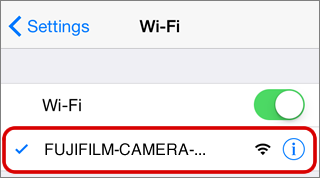 If you are using an iPhone, iPad, or iPod Touch, enable Wi-Fi in Settings before connecting. 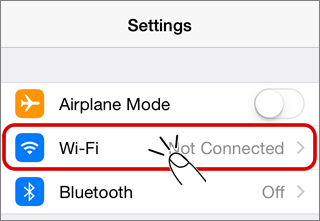 Tap the Settings icon in the Home screen. 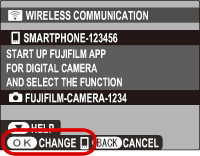 Press the button to which WIRELESS COMMUNICATION has been assigned or select WIRELESS COMMUNICATION in the camera menus. 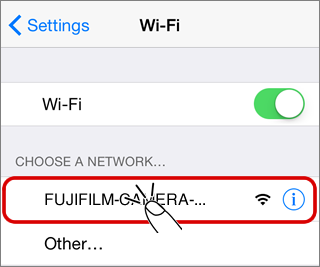 To switch destinations after connecting for the first time, press the camera MENU/OK button. 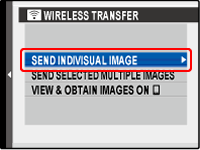 In the playback menu, select WIRELESS TRANSFER > SEND INDIVIDUAL IMAGE. 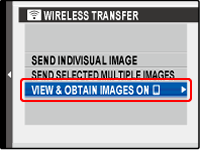 In the playback menu, select WIRELESS TRANSFER > VIEW & OBTAIN IMAGES ON . 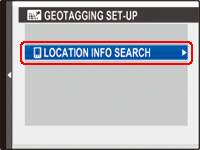 Select GEOTAGGING SET-UP > LOCATION INFO SEARCH in the setup menu. 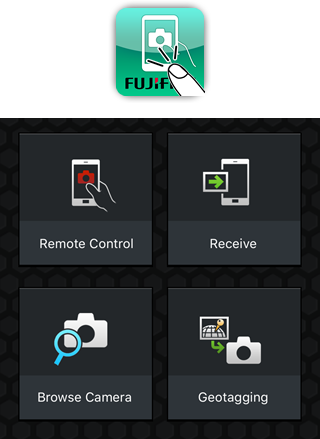 Launch the FUJIFILM Camera Remote app. 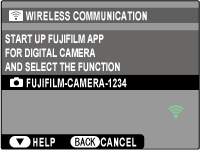 Some cameras do not support remote photography.